Remember last spring when Gucci Mane was readying the first installment of his street album series, The Brick Factory? 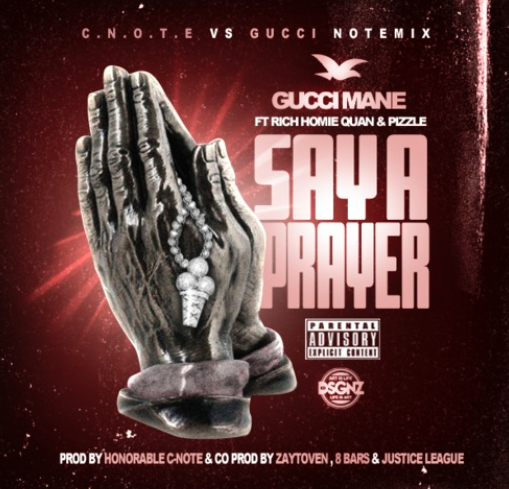 One of the standout cuts from the project was his Honorable C N.O.T.E.-produced release “Say A Payer” with Rich Homie Quan. With help on the boards also fromZaytoven, 8 Bars and J.U.S.T.I.C.E. League, an official remix for the track arrives featuring Pizzle. If the open letter to fans wasn’t enough for your most recent La’Flare fix, listen to the new drop above on maximum levels.